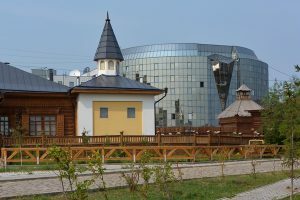 A truly unique and probably once in a life time journey through the vast Siberian land. 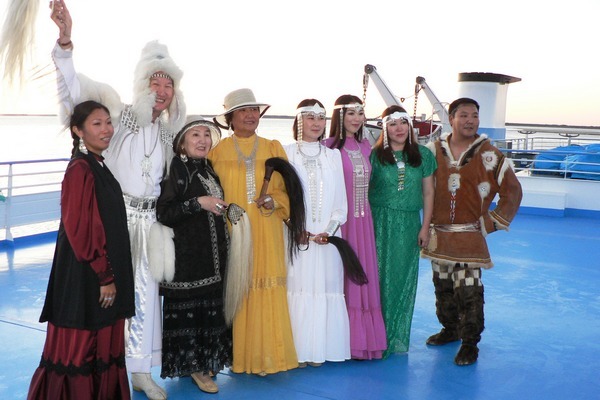 4000 km sailing on mighty Lena River, the 11th longest river in the world, from Yakutsk all the way to the port Tiksi in the Arctic Ocean, at 73′ North, and back. 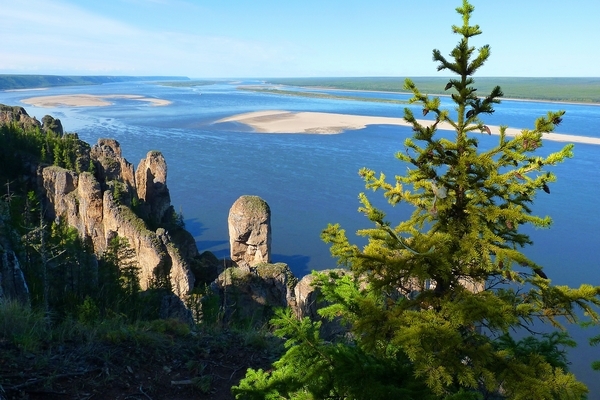 For seven months of the year, the Lena River is bound by ice, in many places over a meter thick. The Lena typically opens up in the second half of May. There are no dams, weirs, or hydroelectric stations on the river and it flows as it did ages ago. The Lena’s amazing landscapes, rich flora and fauna, and unique and ancient culture impress even the most experienced traveller. 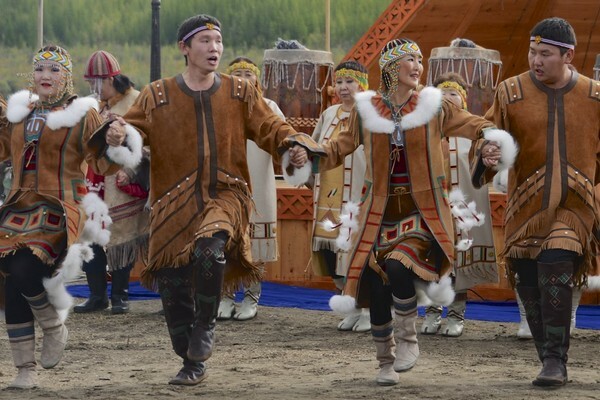 Via Moscow, the tour begins in Yakutsk, the capital of the Russian Republic of Yakutia (Sakha), a city of approximately 300,000 people, the biggest city in the world built entirely on permafrost, where the temperature difference between winter and summer can reach up to 100̊ (from -60̊ C in winter to +40̊C in summer). The territory of the republic is 3 mil. sq km with a total population of less than 1 million. Nearly 95% of the territory is permafrost, with maximum measured depth of 1.400 m. Yakutia takes 10% of all the untouched landscapes in the world. Republic is also incredibly rich in raw materials. The soil contains large reserves of oil, gas, coal, diamonds, gold, silver, tin, tungsten and many others. 99% of all Russian diamonds are mined in Sakha, accounting for over 25% of the world’s diamond production. 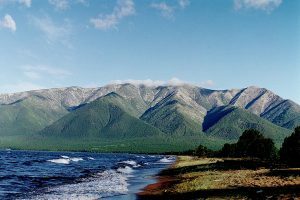 The legend says that, when the Creator was handing out the treasures around the world, his fingers got frozen over Yakutia and he dropped all of them there. 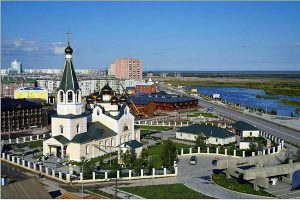 The city of Yakutsk is surrounded by vast Siberian taiga. As we travel further north, vegetation is gradually reduced to harsh Arctic tundra, scarcely populated by indigenous peoples, oriented to reindeer herding and fishing. 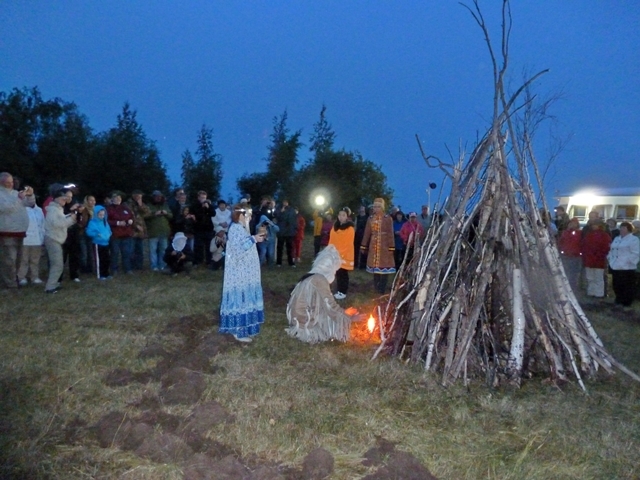 By visiting the most interesting museums in Yakutsk, open-air ethno villages and National Parks with unique geological formations such as Lena Pillars, meeting the locals in the small settlements and villages along the route and enjoying their folklore, but also enjoying many interesting lectures on board, we discover part of the secrets of this vast and remote land. 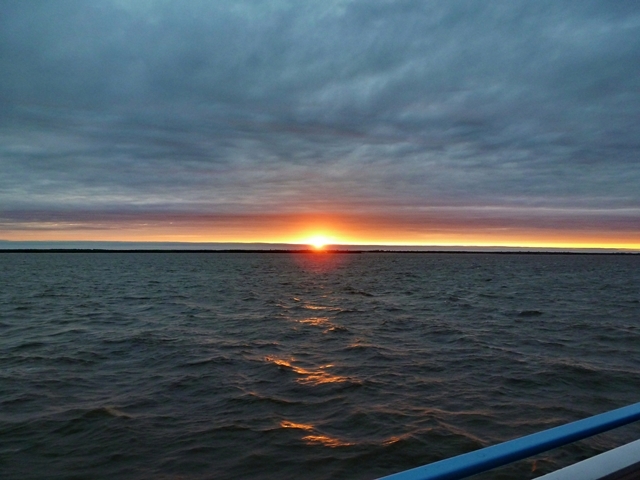 Today the ship is docked at the mouth of Buotama River (418 km long Lena tributary). 40 – 30 thousand years ago primitive mammoth and bison hunters lived in the area. In 2006 the first 19 bison were imported from Canada to the area, as a part of the world-wide project of restoring the extinct species into their natural habitats. 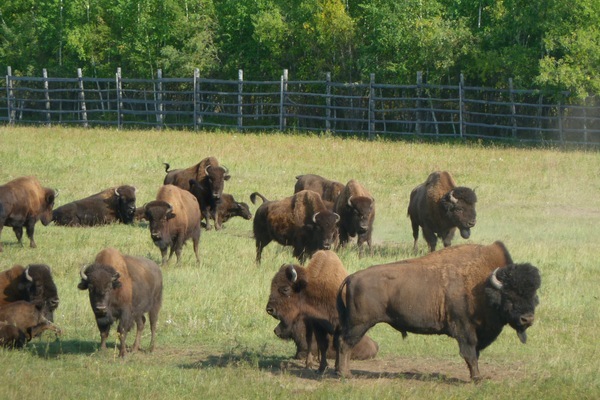 Today there are around 90 bison leaving in the Russia’s only bison park, covering 100 hectares. Bison are wild. 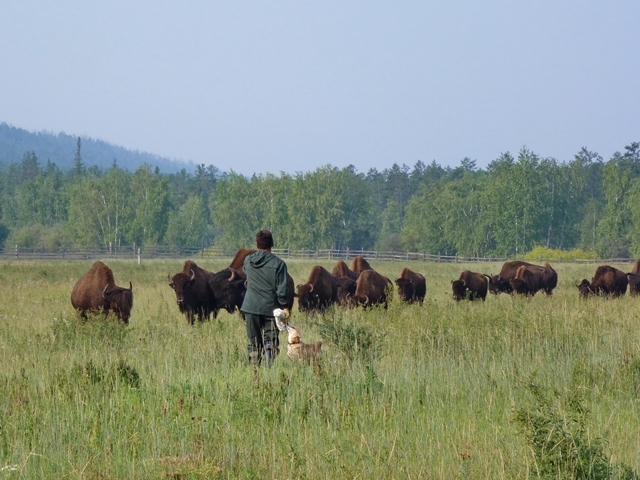 The nearest paddock is about 1 km from the ship and the local vet and bison keeper will do his best to lure bison there so we can see them. 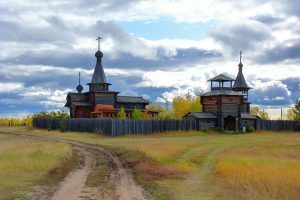 Zhigansk is the first settlement beyond the Polar circle. The Zhigansk stockaded town was established in 1632 as Yakutsk town. 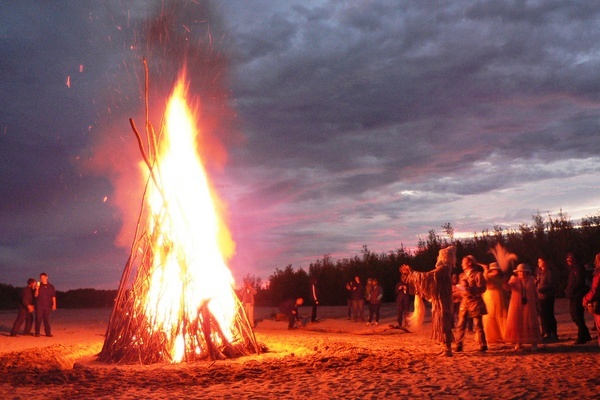 The name of “Zhigansk” comes from the Tungus language and means “an inhabitant of lower lands”. 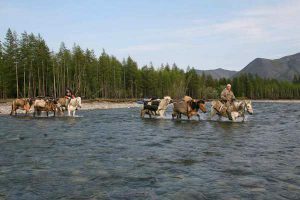 Main occupation of population is hunting, fishing and cattle-breeding. 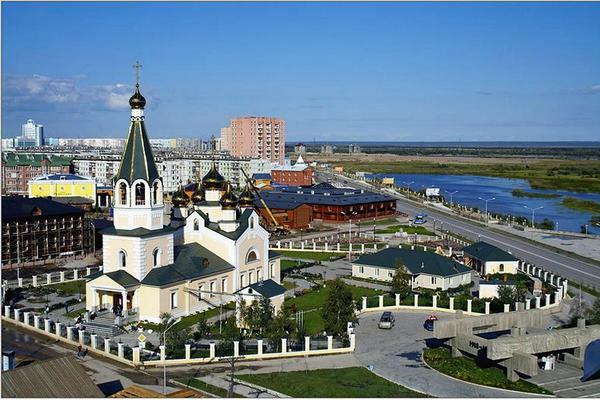 Zhigansk is an administrative district center with population of over 3 thousand people. 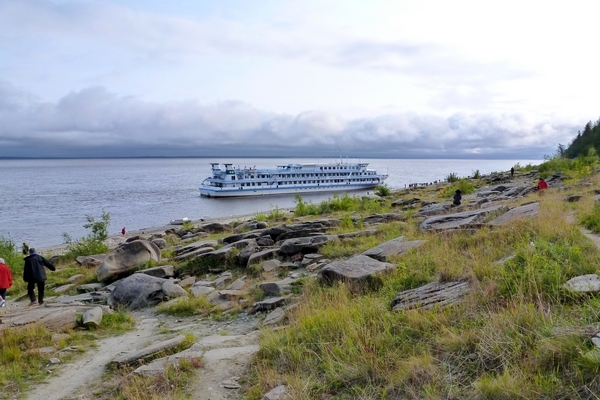 Our ship will anchor on the river due to insufficient water depth, and you will reach the bank on a small ferry. You will be impressed by performance of local actors who will present a music of blowing snow and wind whistle, whisper of leaves and grass, water hush, rush of flying bird wings through improvised epic songs and charming accords of ritual dancing. You will listen to a real music which is a world of nature and feelings. 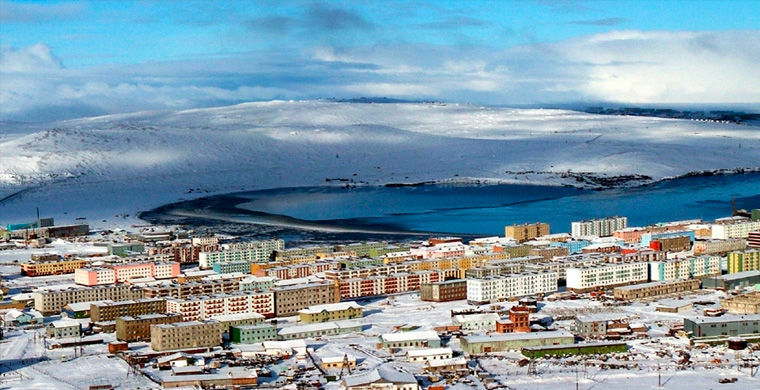 A small settlement very far North, Kyusyur was founded when the indigenous Evenk and Yakut peoples gave up their nomadic lifestyle and settled. 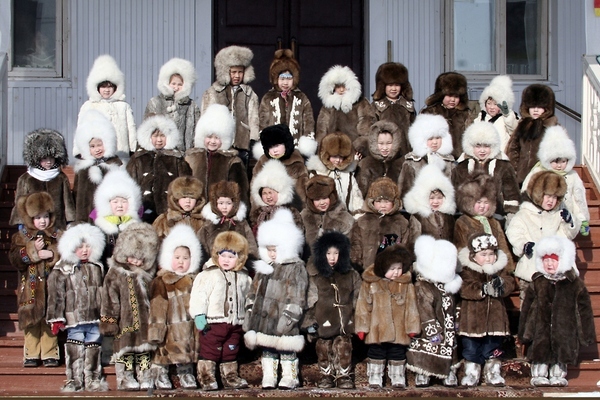 Men are engaged in reindeer breeding, fishing and hunting, while women work in a social and life-support sectors. Harsh and extreme climate and strong winds have great impact on the buildings and streets of the settlement. The history of Kyusyur and the area is also connected with the tragic fate of tens (if not hundreds) of thousands of people from Baltic States of the Soviet Union and from Central Yakutia that were deported under Stalin’s regime from their homes to the far North in order to work in the fish factories, thus providing much-needed food for the country during the World War II. Thousand of them died under harsh climate, hard labour and primitive living conditions. During the night we sail up to Stolb (Pillar) Island, located at 72,5 ° north, which marks the entrance to the great Lena River Delta. Weather permitting, we continue a bit south through the Delta to the town of Tiksi. 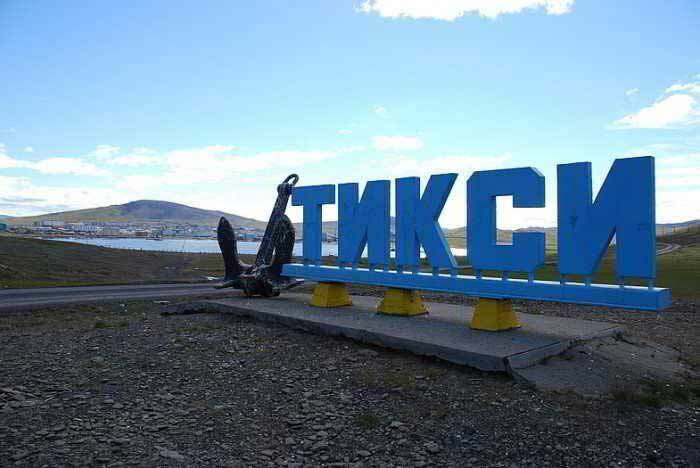 Tiksi is the sea gate to the Republic of Yakutia. 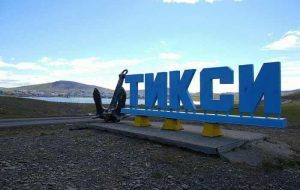 In the Yakut language, Tiksi means “a moorage place.” The city of Tiksi appeared on the map by the mid 1930s when Soviet vessels travelled regularly to the region. 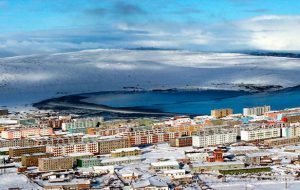 The port of Tiksi can only be navigated 2 ½ months per year, and in winter, the sun never rises from November 19 to January 21, while in summer, the sun never sets from May 11 to July 31. 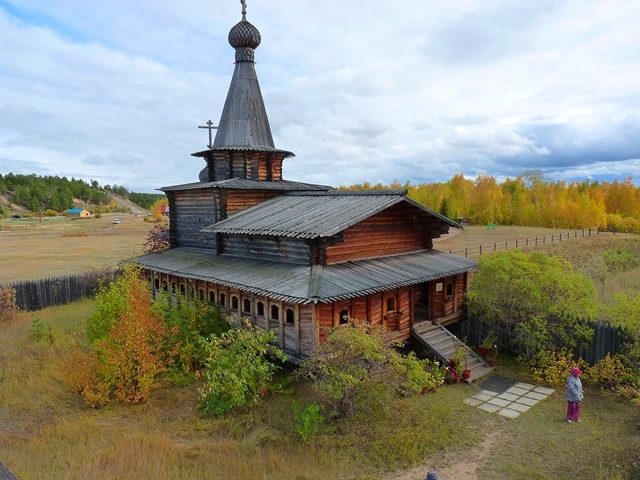 Tiksi was one of the most beautiful and prosperous towns of Yakutia during the Soviet period, but is in the state of decay nowadays, with only about 5 thousand inhabitants. 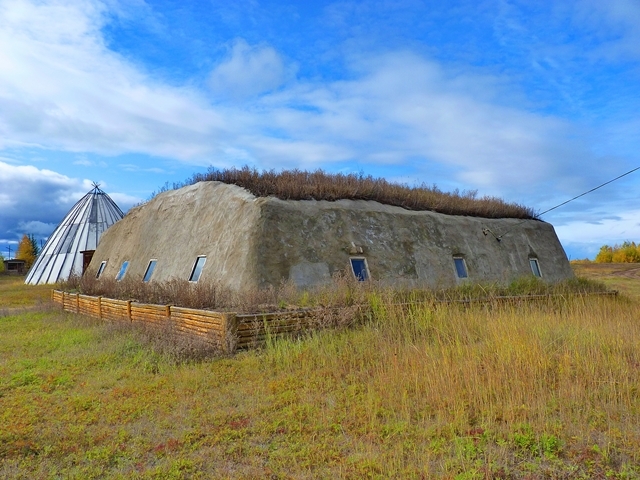 We will have the opportunity to tour the village and visit the museum, which exhibits local artists' paintings and the history of earlier explorers of the territory, which included one American explorer, Delong, whose voyage ended in tragedy. Sailing Lena Delta and Lena "Pipe"
The river meanders as it passes through the Lena Delta and widens to 30km as it courses around islands in the river's path. 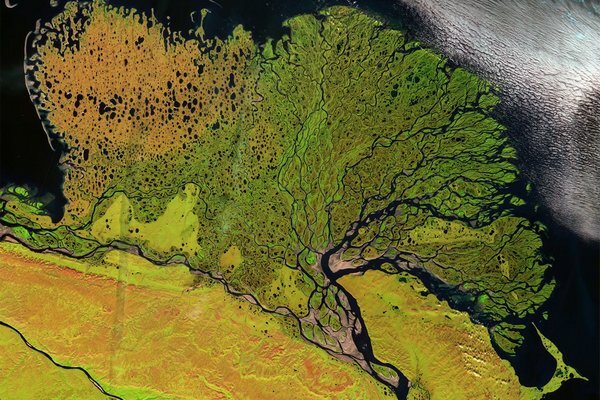 Before the river flows into the Laptev Sea and Arctic Ocean, it divides into a number of channels. The largest of these is Trofimov, which accounts for 70% of the Lena's discharge into the sea, followed by Bykov and Olenek. 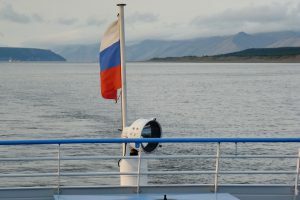 The 106 km long Bykov channel connects Lena with the region's principal sea port, Tiksi. The river here is surrounded by Arctic tundra. After leaving Delta we sail through so called Lena “Pipe”, where the river narrows to 2 km or less and steep and almost eerie cliffs hover over the dark waters. Enjoy breathtaking panorama from the comfort of the ship’s saloon or while sipping a coffee in the Bar. 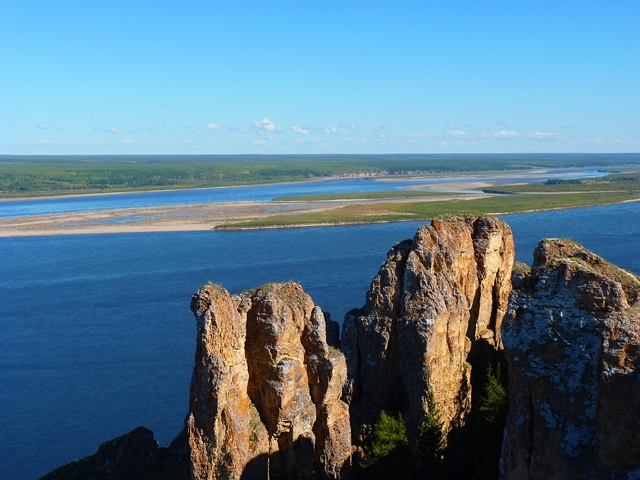 Syktyakh is a small village on a beautiful high bank of the Lena River. It is three hundred years old. It was founded by staffettes of the empress Catherine II, who took there a render (yasak). 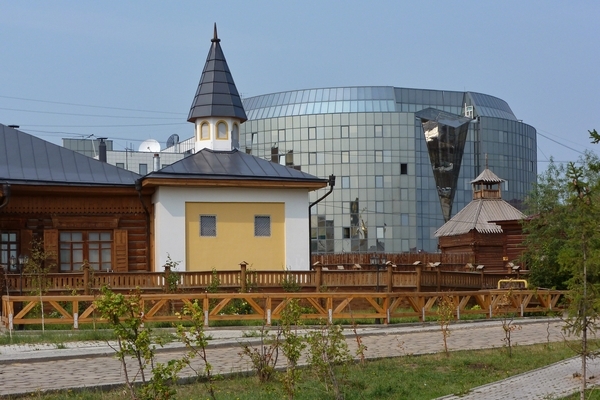 In memory of that time there is a wooden Orthodox church in the village. 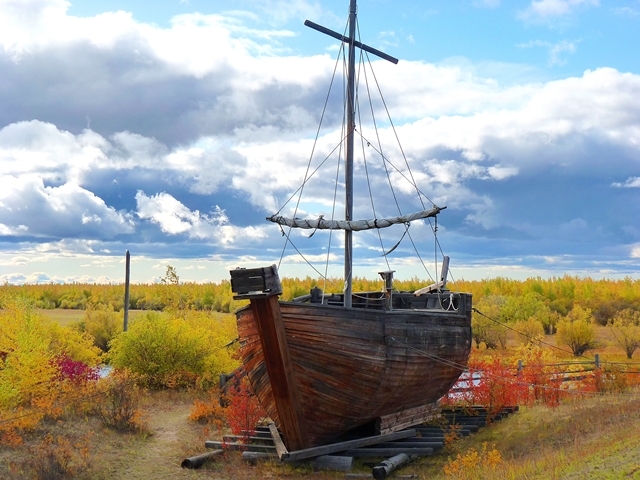 In 1779 in the Syktyakh river estuary a sailing ship of the explorer Ignatyi Kozyrevskyi “Evers” was crushed by ice. 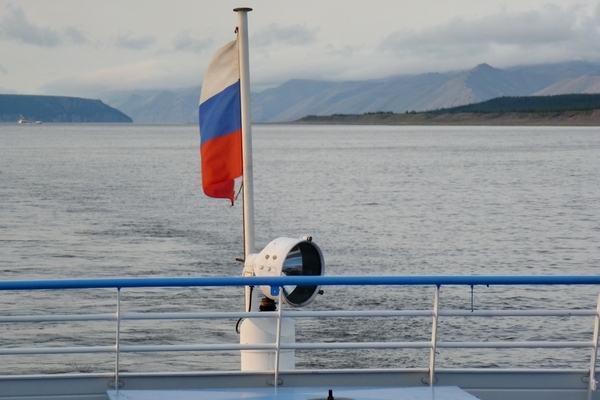 He planned to repeat the Dmitryi Dezhnev’s trip from Yakutsk to Kamchatka. About 300 people live here.